It is said that great art has the power to take us outside of ourselves and bring us closer to ourselves simultaneously. 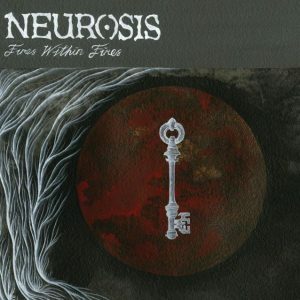 Few bands have accomplished this rare feat on a more profound and consistent basis than Neurosis. For nearly three decades, their music has touched the hearts and minds of young men and women seeking contact with something beyond the physical world, something intangible, something that expresses the inner tumult of the human condition in a way that transcends time and space. Something that not only provokes questions but maybe even hints at answers. In 1996, I was one of those young men. I was 20 years old when I heard Through Silver In Blood, and I could never listen to music the same way again. The album was—and is—so dense, so turbulent, so different than anything I had heard before. It was—and is—like its own weather system. It didn’t just challenge me to think differently; it forced me to. It opened doors that lay beyond the confines of my own narrow experience. Best of all—to an aspiring “writer” at least—the band’s lyrics seemed to be saying something. Not about politics or religion or society or even interpersonal relationships, but about the life of the mind. And the words could be applied to modern life as readily as life a thousand years ago—or three thousand years ago, when our gods were our own and almost everyone still had to fight for their daily bread. 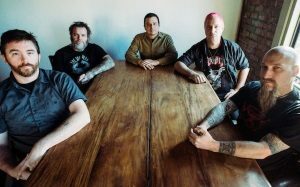 With the passage of time and the accumulation of experience, Neurosis’ work has only become more engaging, more penetrating, more visceral and decimating. Similarly, the band has only become more cognizant of their purpose.